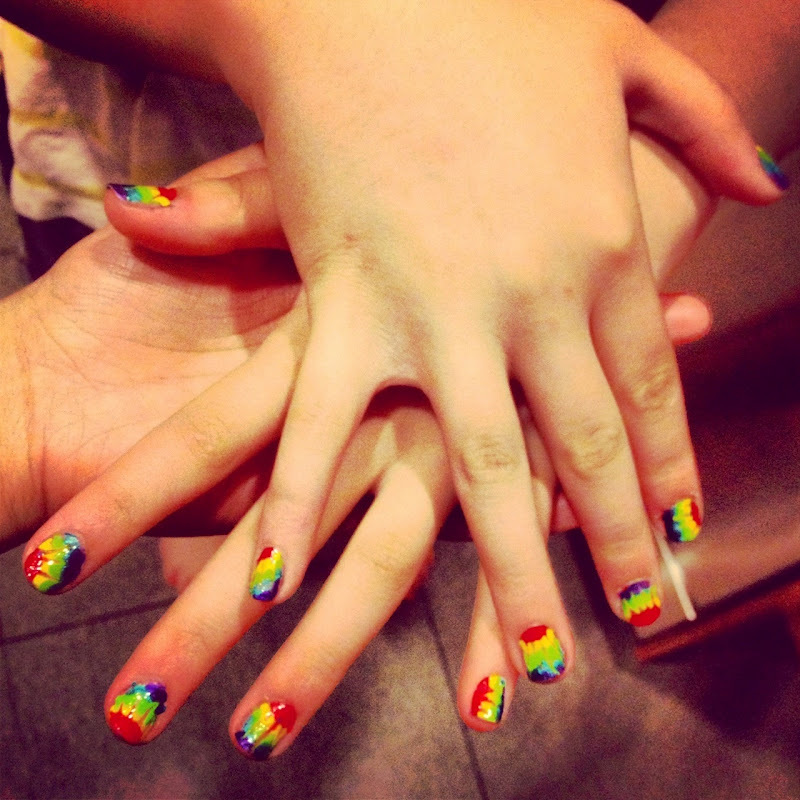 Check out this amazing nail art created by my talented 12-year-old cousin, Julia! Julia painted her nails with a few colors and then took a needle to create the zig zags. Absolutely love the funky nails.